Preheat oven to 350°F and grease a 9x13 baking dish. In a large bowl, mix pumpkin, milk, eggs, sugar, and cinnamon until well blended. 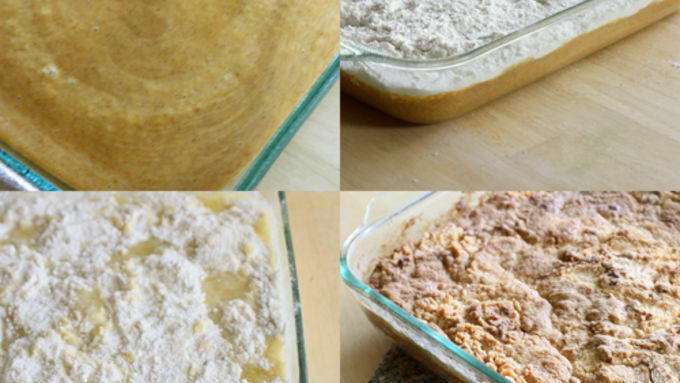 Spread pumpkin mixture in prepared baking dish. Mixture will be very wet. Sprinkle cake mix evenly on top of the batter. If adding pecans, sprinkle them over the cake mix. Pour melted butter over the top of the cake mix. Bake 50 minutes. Cool completely. Top with whipped cream or ice cream. Dump cake -- not the most eloquent name for a dessert, but it's amazing! Simple, decadent, and always a crowd pleaser. Straight pumpkin out of the can isn't really that appetizing, so add some cinnamon and sweeten it up a bit with some simple ingredients. 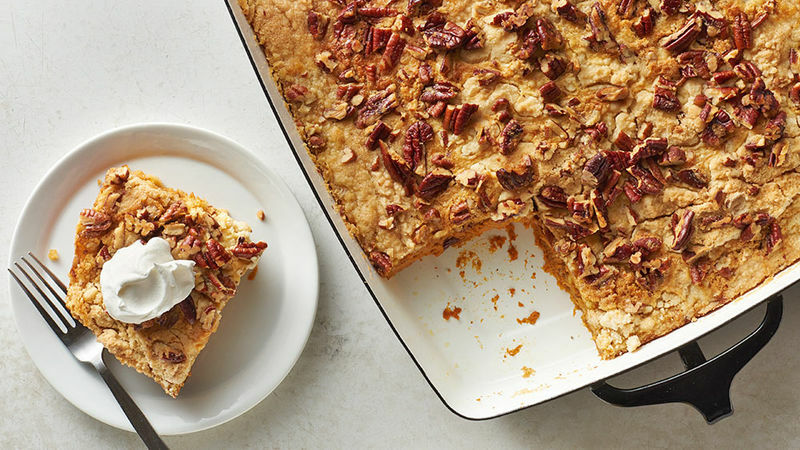 The smell of the pumpkin and spices baking will bring fall right into your house. This is the great alternative to your everyday pumpkin pie, for those of you who want to switch it up a bit. The result is a creamy pumpkin layer topped with a buttery crust. 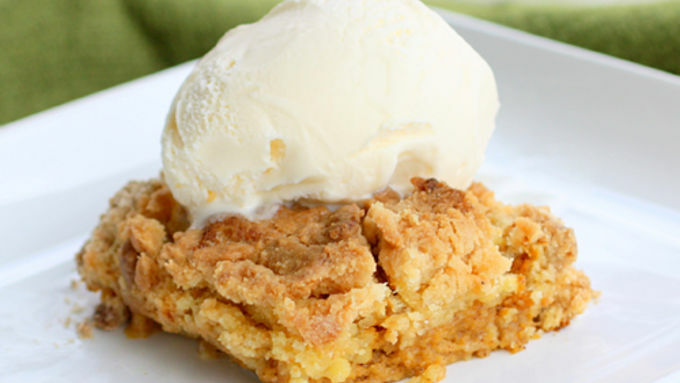 Enjoy this pumpkin dessert with some whipped cream or a big scoop of ice cream.